Twisted Tales statement neck piece. 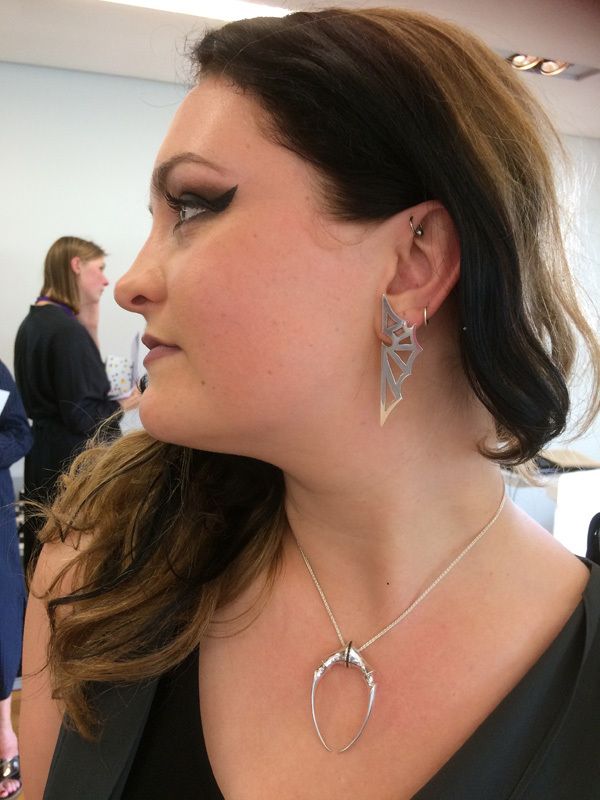 A jewellery design ‘star of the future’ Daisy Grice, who trained at the Birmingham School of Jewellery, has been selected after a nationwide search as a Bright Young Gem for 2018. Bright Young Gem (BYG) status is awarded to just four designers annually. Those selected are mentored by jewellery industry leaders and given the opportunity to showcase their work at the UKs leading international Jewellery Show – International Jewellery London (IJL) in September. The BYGs are selected from final year students and students from UK colleges and universities who have graduated in the past two years, by an eminent panel of judges including Hilary Alexander OBE, Editor-at-Large Hello Fashion Monthly; Annabel Davidson, Editor of Vanity Fair on Jewellery and Alice Edwards, Jewellery Editor for the Sunday Times Style and The Times LUXX magazine. 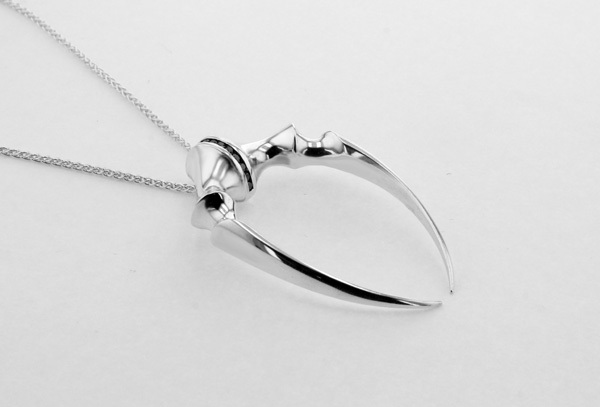 Daisy was chosen from over 100 talented aspiring young jewellers from around the UK. Daisy originally graduated in Jewellery and Silversmithing from the Birmingham School of Jewellery. 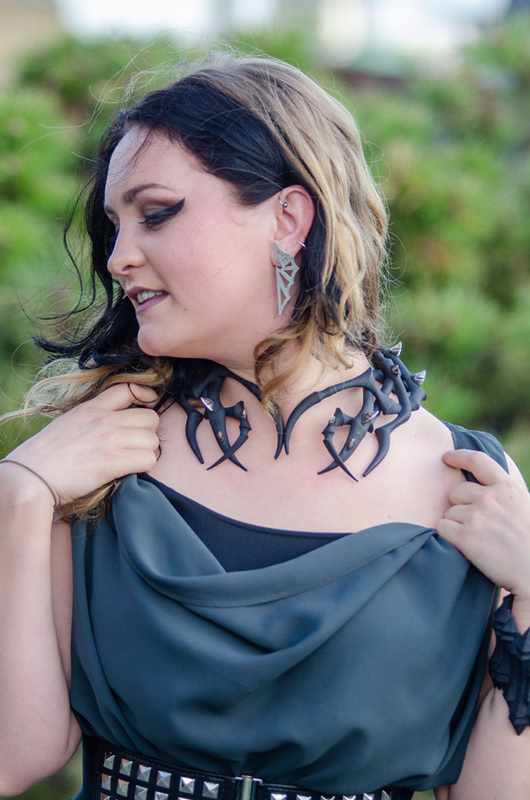 She returned to the school after working in the industry for two years, to learn 3D computer aided design so she could combine both her traditional bench skills with modern technology to produce contemporary, statement pieces with a gothic aura. Daisy has already won an array of awards for her work including her ‘Twisted Tales’ collection. She has a strong signature style. Inspired by nature’s enchantments and gothic architecture with a twisted dark side she creates “jewellery for the original”. When designing, she usually has a fictional persona in mind, often pulling themes and characters from dark tales and fantasy films such as Game of Thrones to inspire her work.